On top of the 20 meters high tower there is an apartment called "Cielo" of 75 sq.m. with a fireplace and a breathtaking view of Lake Iseo. Two units of 30 square meters on the ground floor, a call "Terra" and the other "Adele." A 45 sqm apartment with a loft called "Fienile" An apartment called "Pisa" of 76 square meters on three floors with no direct view of the lake. At the entrance of the castle there is the big house "Sole" of 120 square meters where every room has a view of the lake. In each apartment there is satellite TV in the apartments "Cielo" and "Pisa" The ceilings are wood with exposed roof top floor. On the ground floor there is a large garden, a courtyard and a communal porch equipped with chairs, tables and barbecue. The heating system to natural gas is independent for each apartment. The paints and varnishes used here are ecological. The apartment "Cielo" consists of an entrance hall which gives access to the bathroom with shower and washing machine, then to a large open space with the roof on wood beams, high and made even brighter by three remote controlled Velux skylights. The "Pisa" apartment is on three levels: the ground floor there is a bedroom with two single beds and an adjoining bathroom with shower. 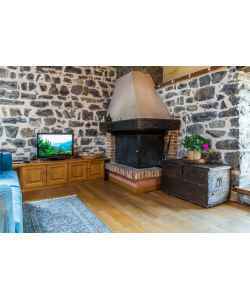 On the first floor, which can also be accessed from the street, there is the dining room - living room with large kitchen and extendable table, comfortable sofa bed for two, and satellite TV. 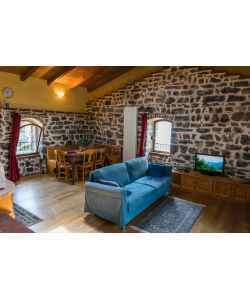 The "Terra" apartment, with medieval atmosphere is on the ground floor, composed of a large living room with kitchenette, sofa bed, double bed and bathroom with shower. Suitable for a couple or a couple with child. The "Adele" apartment is situated to the flat earth, adjacent to the apartment "Terra", pleasant for the presence of a balcony with sight on the lake. The bath is situated to the outside. 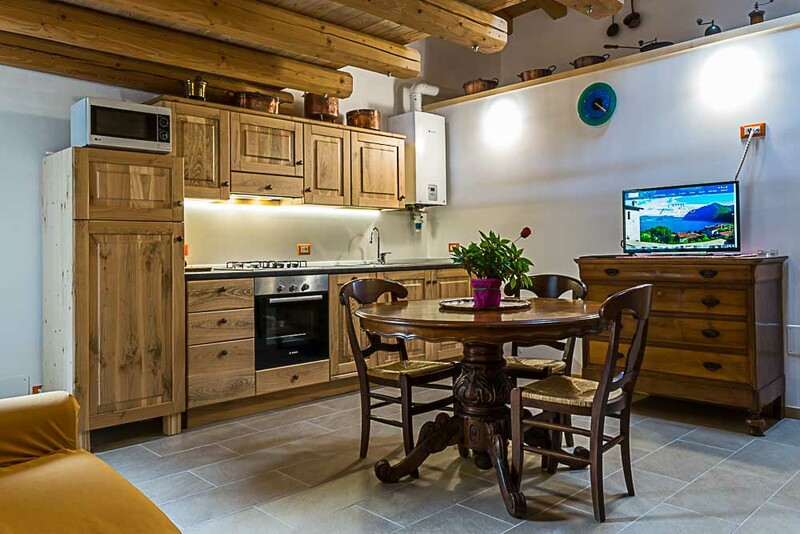 The "Fienile" apartment is a studio with mezzanine: on the ground floor there is a kitchen / living room with a smart satellite TV and a sofa bed. The entrance hallway leads to the bathroom with shower. On the mezzanine, reachable through the staircase, we find the master bedroom.On the wooden beamed ceiling there is a skylight.